Abstract painter Simon Morris has been selected as the eighth grantee of the prestigious annual Fulbright-Wallace Arts Trust Award. The award is for an outstanding mid-career or senior New Zealand visual artist to undertake a residency at Headlands Center for the Arts in Sausalito, California. One residency valued at up to US$24,000 is offered each year. Mr Morris is an artist whose work focuses on painting, site responsive wall painting and installation. He has worked with geometric structures for over twenty-five years exploring how line, colour and structure in architectural space, and on the canvas informs new aesthetic understandings of space and time. 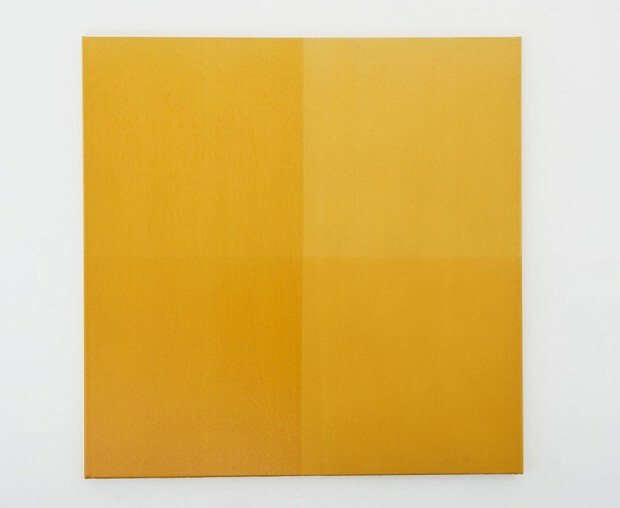 He takes a reductive approach, making works in which a self-imposed set of limitations interact with the particular ground of painting. His wall drawing projects such as Contact: artists from Aotearoa New Zealand, in the Frankfurt Kunstverein 2012, and most recently ‘Yellow Ochre Room 2015’, commissioned by Christchurch Art Gallery New Zealand expand the experience of a painted work through an engagement with architectural and social space. He worked with internationally renowned Athfield Architects to complete the Rainscreen for The Dowse Art Museum. Fulbright New Zealand Executive Director Penelope Borland says that on this residency, exceptional artists have a unique opportunity to explore their own artistic endeavours away from the pressures and distractions of everyday life, and to work alongside international artists. “The cross-pollination of creativity, ideas and experiences is a core philosophy of Headlands and reflects the core aim of the Fulbright exchange programme – to increase mutual understanding between peoples for a more peaceful world,” Ms Borland says. The Fulbright-Wallace Arts Trust Award is offered by prestigious scholarships organisation Fulbright New Zealand and the Wallace Arts Trust specifically for a mid-career or senior visual artist. Administered by Fulbright New Zealand, it is part the annual Wallace Art Awards, the longest surviving and largest annual art awards of their kind in New Zealand which aim to support, promote and expose New Zealand contemporary art and artists. 2010: Photographer, sculptor and video artist Richard Maloy.